This centre is located in the heart of Berlin at the famous Potsdamer Platz - a prime location. Set in a modern and stunning glass tower building. This center boasts an ideal and convenient location, northwest of the city of Berlin and just two minutes from the highway. This center offers a convenient location, between the city's main roads and the city center. Thirty-four offices are spread out over two floors. This center is located next to the Rhine directly opposite the Cologne Exhibition Centrex on Theodor Heuss ring. Clients enjoy the quiet park location. This architecturally stunning center is located close to the Frankfurt airport and directly near the motorway. Our Business Center is located directly at the main station Darmstadt in a certified Ã¢â‚¬Å“green buildingÃ¢â‚¬Â with modern digital infrastructure. Offices are available in varying sizes from 16 to 30 square meters. A professional secretary is available to assist you with your business needs. This center is conveniently located just seven minutes from the central station, eight minutes from the city and thirteen minutes from the airport. Essen is an ideal, central location for trade and commerce. The city attracts many visitors. The center is situated in the south of Essen. 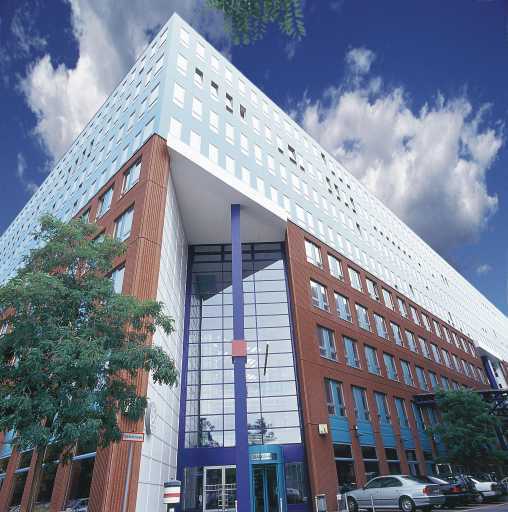 This office space in Essen offers 14 offices and is located in the northern quarter of Essen, with the highway and bus station nearby. Centrally located in the banking area of Frankfurt, these offices are easy to reach by car from all directions. Steps away from the central station. 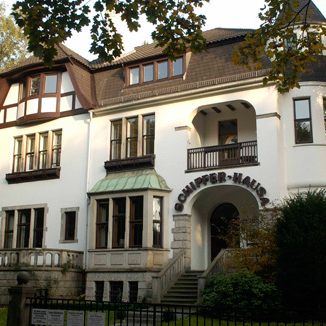 This center is located near the western outskirts of Frankfurt. A direct motorway to Frankfurt Airport, downtown Frankfurt, and all other main areas. Beautifully set in the capital of the Black Forest, Freiburg is right in the heart of Europe. Conveniently located near the border of Switzerland and France. A first-class location in the city of Hamburg. Get a great business address at one of the cityÃ¢â‚¬â„¢s most well-known locations. Located at the main road to the motorway, the airport and the City, this center offers a very convenient location. An S-Bahn station is located right in front. Located at the main road to the motorway, the airport and the City, this center offers a most convenient location. An S-Bahn station is located right in front. Located near the central station and the city centre. The Leipzig business centre offers direct access to the main road leading you to all main areas. This office center is in a prime city location near the Nikolai church and close to the central station. Shopping Mall, gym and culture are also nearby. Centrally located in the city center, this location offers the perfect connection to main motorways and public transport. In close proximity to the Frankfurt International Airport and Frankfurt-Hahn Airport. Direct access to all key markets is offered from this centreÃ¢â‚¬â„¢s location. Conveniently located in the heart of Munich at the Isar, just opposite the Deutsches Museum, this center is walking distance from the city and the metro. This prominent first-class Munich location is close to everything. Steps to the central station and next to Mittlerer Ring with connection to all expressways. This elite business centre places us at the best address in Munich. Right on the prestigious Maximilianstrasse, this historical area will leave you impressed. This business centre is located in Munster's historical area, which reflects in the medieval layout of its Old Town. This business center is located in the city center of Potsdam, in the reconstructed historical building of ComCity - just five minutes away by car from Berling. This office space in Saarbrucken is located in the center of town, with the central station just two minutes away, and the bus stop and main road steps away. This centre is located in the industrial area of Stuttgart-Vaihingen, in the OFFICIUM office centre. The offices are opposite the S-Bahn Stuttgart-Vaihingen. 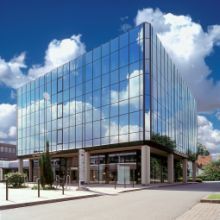 The ecos office center is located in the Deltahaus in one of the most prestigious areas in the center of Wiesbaden right next to the central train station.